Day five! The finish line! 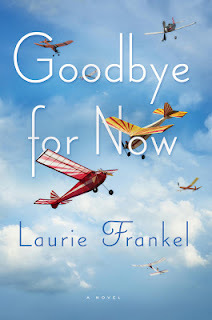 Last stop on the Goodbye For Now Writing Tip Blog Tour! This has been great fun. I hope it has for you too and has proven a little bit useful as well. As befits the last day: promises, sunshine, and marvels. Ready? Here it is, the last lesson. Miracles occur during editing. Miracles. Downright unreadable, horrendous, insufferable, ugly, impossible, incomprehensible, offensive writing undergoes minor tweaks at the editing phase and then, miracle of miracles, is gorgeous, singing, insightful, glorious, heaven-sent prose. How does this happen? I don’t know. But it does. It’s a miracle. That’s not to say editing isn’t hard work of course. That’s not to say it isn’t painful, laborious, wretched, involving sometimes tragic cuts and additions and head banging. But it happens. It does. In practice what that means is this: during the drafting phase, all you have to do is get words on the page. They don’t have to be good. They don’t have to make sense. They don’t have to be pretty or well organized or well earned or significant. All they have to be is present. You’ll fix them later during editing. You’ll fix all of it later during editing. This is liberating. It means you can just write for a good long while, worry free. It means no matter how unfortunate and not-yet-good your work, you’re still being productive, making progress, being, well, a writer. As long as you keep going, as long as words keep appearing, as long as you don’t stop, you’re doing all you have to for the moment. That said, when you go back and reread it, it can be quite a shock to the system. It’s bad. And it must be fixed. I cannot emphasize this enough -- you have to save the time, energy, inclination, creativity, reserves required to revise. Often people consider revision to be punishment or cherry-on-top extra work or an unnecessary step that just messes with your purer (and therefore better) output. Sorry: no. No no no. Absolutely not. Revise you MUST. It may well be harder and take longer than writing the thing in the first place. BUT it makes miracles. About how many other things in your life can you say that? When Sam Elling creates an algorithm to pair people with their soul mates online, he meets Meredith, his own perfect match. But when Meredith’s grandmother Livvie dies unexpectedly, Sam puts his algorithm to even better use: it compiles Livvie’s old emails and video chats to create a computer simulation so that Meredith can say goodbye. It’s not supernatural; it’s computer science, and Meredith loves it—too much to keep to herself. Together, she and Sam open RePose to help others who have lost a loved one. Business takes off, but for every person who just wants to say goodbye, there’s someone else who can’t let go. This twenty-first-century love story asks what would happen if saying goodbye were just the beginning, and shows how love can take on a life of its own. Maybe :) Thanks for sharing!